Get Your Slab Leak Instantly Fixed From OC Plumber! When water starts to leak from the surface of a slab foundation, they can cause major damage to your property. Over time, the water will start to seep in the cracks and the building foundation, deteriorating the quality of the building materials. As a result, your property can become prone to mold and bacteria growth, which can be detrimental to your health if not dealt with immediately. Slab leaks may be less of an issue for homes that have basements, than homes that do not. As leading slab leak repair service provider, we offer our customers with affordable and innovative solutions in slab leak repair and replacement. Whether if the leak has been caused by a leaking pipe or by intrusion from an unidentified source, we can help efficiently fix it. We understand that time is of the essence when dealing with slab leaks and only use the latest technology and most effective methods when repairing a leak to ensure that your property is in the best possible condition and up to code on safety standards once repair is completed. We offer round the clock emergency slab leak repair in Orange County. A slab leak is a complicated plumbing job and is often time not just limited to the leak itself. Typically there are other leaking pipes, which can over time accumulate and trigger damage to other systems, including building materials and sewerage lines. 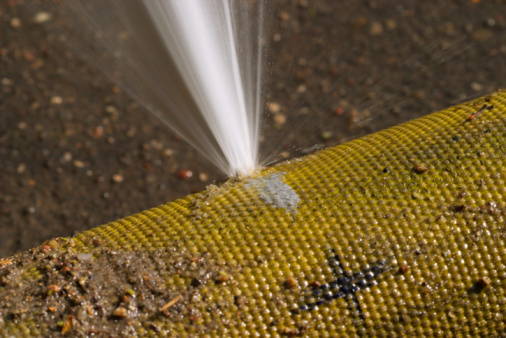 Having such leaks can be detrimental to the foundation of your property. This can compromise the strength of the building structures, which can leading to your property decaying. If your property is exhibiting the mentioned traits, then you should call a servicer immediately. As a leading slap leak repair and detection service provider in Orange County, we offer 24/7 emergency services. Once you give us a call, our team of property inspectors, plumbers, damage restorers, and technicians will arrive at your site within 60 minutes. At OC Plumber, we guarantee customer satisfaction and are dedicated to repairing your slab leak from start to finish. Got a slab leak caused by damage in the water or sewerage pipelines? No problem. You can count on us from small jobs to more invasive treatment solutions. Our team of highly experienced and trained technicians coupled with our state of the art technology will guarantee you an effective and efficient solution to your slab leak issues. We provide quality slab repair at great rates. We provide expert diagnosis with advanced technology and techniques with professional repairs from experienced and trusted technicians at an affordable price. We will provide you with various options of repair and tailor the repair to your needs for the most cost effective solution. Not sure about what we can do for your leaking slab? Call us now and get free consultation, or better yet, get a quote from us and compare them with other servicers; you won’t be disappointed. Contact us at (949) 461-1141 Slab Leaks Repair & Detection services today!